The FMCSA has issued a final rule (Minimum Training Requirements for Entry- Level Commercial Motor Vehicle Operators), requiring training for entry level-drivers who are subject to the commercial driver's license (CDL) requirements. Training in this area must cover the federal rules on medical certification and examination procedures; general qualifications; responsibilities; and disqualifications based on various offenses, orders, and loss of driving privileges (49 CFR Part 391, Subparts B and E). Instruction on this topic must include the limitations on driving hours, the requirement to be off duty for a certain period of time, a record of duty status preparation, and exceptions (49 CFR Part 395). Fatigue countermeasures as a means to avoid crashes must also be included in the hours of service training. Training in this area must include information on basic health maintenance, including diet and exercise, as well as the importance of avoiding excessive use of alcohol. The right of an employee to question the safety practices of an employer without risk of losing his/her job or being subject to reprisals for stating a safety concern must be included in the training (29 CFR Part 1978). 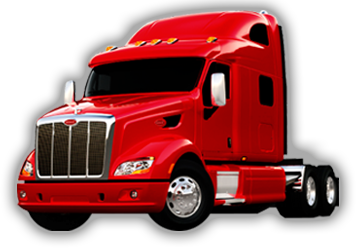 Drivers who are required to hold a CDL and have less than one year's experience in operating commercial motor vehicles (CMVs) in interstate commerce are subject to the training requirements. An entry-level driver who first began operating a CMV in interstate commerce requiring a CDL between July 20, 2003, and July 20, 2004, must receive the training by Oct. 18, 2004. An entry-level driver who will begin operating a CMV in interstate commerce on or after July 21, 2004, must receive this training before driving a CMV. The employer must maintain records, as required under 49 CFR 390.31, and make them available for inspection at their principal place of business within two days of a request from an authorized FMCSA representative. The employer must keep an employee's records for the duration of the employee's employment and for one year following employment.